Fuad I (Arabic : فؤاد الأول‎Fu’ād al-Awwal, Turkish : I. Fuad or Ahmed Fuad Paşa; 26 March 1868 – 28 April 1936) was the Sultan and later King of Egypt and Sudan, Sovereign of Nubia, Kordofan, and Darfur. The ninth ruler of Egypt and Sudan from the Muhammad Ali dynasty, he became Sultan of Egypt and Sudan in 1917, succeeding his elder brother Sultan Hussein Kamel. He substituted the title of King for Sultan when the United Kingdom recognised Egyptian independence in 1922. His name is sometimes spelled Fouad. King of Egypt was the title used by the ruler of Egypt between 1922 and 1951. When the United Kingdom ended its protectorate over Egypt on 28 February 1922, Egypt's Sultan Fouad I issued a decree on 15 March 1922 whereby he adopted the title of King of Egypt. It has been reported that the title change was due not only to Egypt's newly independent status, but also to Fouad I's desire to be accorded the same title as the newly installed rulers of the newly created kingdoms of Hejaz, Syria and Iraq. The only other monarch to be styled King of Egypt was Fouad I's son Farouk I, whose title was changed to King of Egypt and the Sudan in October 1951 following the Wafdist government's unilateral abrogation of the Anglo-Egyptian Treaty of 1936. The monarchy was abolished on 18 June 1953 following the Egyptian Revolution of 1952 and the establishment of a republic. The then-king, the infant Fuad II of Egypt, went into exile in Switzerland. Cairo University is Egypt's premier public university. Its main campus is in Giza, immediately across the Nile from Cairo. 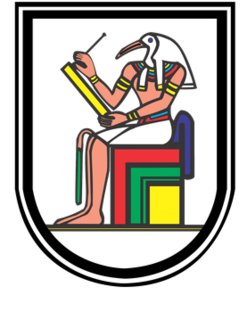 It was founded on 21 December 1908; however, after being housed in various parts of Cairo, its faculties, beginning with the Faculty of Arts, were established on its current main campus in Giza in October 1929. It is the second oldest institution of higher education in Egypt after Al Azhar University, notwithstanding the pre-existing higher professional schools that later became constituent colleges of the university. It was founded and funded as the Egyptian University by a committee of private citizens with royal patronage in 1908 and became a state institution under King Fuad I in 1925. In 1940, four years following his death, the University was renamed King Fuad I University in his honor. It was renamed a second time after the Egyptian revolution of 1952. The University currently enrolls approximately 155,000 students in 22 faculties. It counts three Nobel Laureates among its graduates and is one of the 50 largest institutions of higher education in the world by enrollment. The Sultanate of Egypt was the short-lived protectorate that the United Kingdom imposed over Egypt between 1914 and 1922. Sultan Hussein Kamel was the Sultan of Egypt from 19 December 1914 to 9 October 1917, during the British protectorate over Egypt. Ibrahim Pasha was the eldest son of Muhammad Ali, the Wāli and unrecognised Khedive of Egypt and Sudan. He served as a general in the Egyptian army that his father established during his reign, taking his first command of Egyptian forces when he was merely a teenager. In the final year of his life, he succeeded his still living father as ruler of Egypt and Sudan, due to the latter's ill health. His rule also extended over the other dominions that his father had brought under Egyptian rule, namely Syria, Hejaz, Morea, Thasos, and Crete. Ibrahim pre-deceased his father, dying 10 November 1848, only four months after acceding to the throne. Upon his father's death the following year, the Egyptian throne passed to Ibrahim's nephew, Abbas. Wikimedia Commons has media related to Fuad I of Egypt . Mohamed Tewfik Pasha, also known as Tawfiq of Egypt, was khedive of Egypt and the Sudan between 1879 and 1892 and the sixth ruler from the Muhammad Ali Dynasty. 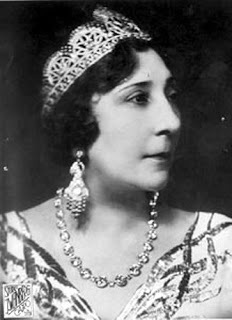 Nazli Sabri was the first Queen of Egypt from 1919 to 1936 as the second wife of King Fuad. 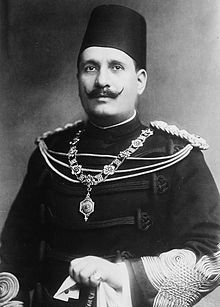 Hussein Refki Pasha Ahmed Hafez Mohammed Hafez was an Egyptian military general and politician who served as Egypt's 25th Minister of War and Marine. Fathia Ghali was the youngest daughter of Fuad I of Egypt and Nazli Sabri, and so the youngest sister of Farouk I.
Soliman Pasha al-Faransawi, born Joseph Anthelme Sève, was a French-born Egyptian commander. Faiza Fuad Rauf was an Egyptian princess and a member of the Muhammad Ali Dynasty. Faika Fouad Sadek (or Princess Faika was an Egyptian royal and a member of the Mohammad Ali Dynasty. Shivakiar Ibrahim was an Egyptian princess and a member of the Muhammad Ali Dynasty. She was the first wife of King Fuad. 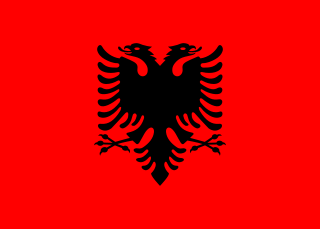 The Albanian community in Egypt started by Ottoman rulers and military personnel appointed in the Egyptian province. A substantial community would grow up later by soldiers and mercenaries who settled in the second half of the 18th century and made a name for themselves in the Ottoman struggle to expel French troops in 1798–1801. Muhammad Ali (1769–1849) founded the Albanian dynasty of Egypt which lasted there until 1952. In the 19th and early 20th centuries, many other Albanians settled into Egypt for economical and political reasons. With the fedayeen, Muslim Brotherhood, and the culminating Egyptian Revolution of 1952 the Albanian community in Egypt diminished. ↑ Montgomery-Massingberd, Hugh, ed. (1980). "The Royal House of Egypt". Burke's Royal Families of the World. Volume II: Africa & the Middle East. London: Burke's Peerage. p. 36. ISBN 978-0-85011-029-6. OCLC 18496936 . Retrieved 27 February 2010. ↑ Hassan Hassan (2000). In the House of Muhammad Ali: A Family Album, 1805–1952. American Univ. in Cairo Press. p. 9. ISBN 978-977-424-554-1 . Retrieved 5 February 2013. ↑ Reid, Donald Malcolm (2002). Cairo University and the Making of Modern Egypt. Volume 23 of Cambridge Middle East Library. Cambridge University Press. pp. 61–62. ISBN 978-0-521-89433-3. OCLC 49549849 . Retrieved 27 February 2010. ↑ "The Presidents of the Society". Egyptian Geographic Society. Archived from the original on 24 July 2011. Retrieved 27 February 2010. ↑ Abdalla, Ahmed (2008). The Student Movement and National Politics in Egypt, 1923–1973. American University in Cairo Press. pp. 4–5. ISBN 978-977-416-199-5 . Retrieved 22 July 2010. ↑ Kees Versteegh; Mushira Eid (2005). Encyclopedia of Arabic Language and Linguistics: A-Ed. Brill. pp. 382–. ISBN 978-90-04-14473-6.